The Permanent Peoples’ Tribunal was created in 1979 to investigate major international crimes that no national or international body was willing or able to hear. 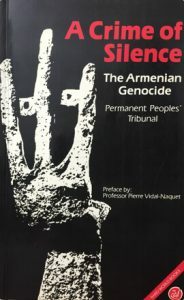 In April 1984, to mark the 69th anniversary of the Armenian Genocide, the Permanent Peoples’ Tribunal held a special hearing in Paris on the Armenian Genocide, becoming the first international and quasi-legal forum to clearly affirm the Genocide. The Zoryan Institute provided official State Department documents containing eyewitness accounts from American diplomats and missionaries in 1915 along with contemporary photographs depicting the Turkish Government’s ongoing destruction of ancient Armenian monuments. 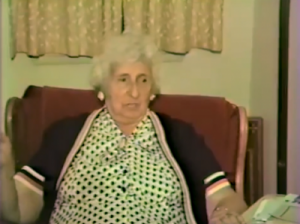 Historians and legal specialists that provided evidence included Richard Hovannisian, Gerard Libaridian, Christopher Walker, Tessa Hofmann, Yves Ternon, Theo Van Boven, Dickran Kouymjian, Leo Kuper and Joe Verhoeven. The Tribunal’s jury included three Nobel Prize winners along with ten other eminent jurists, theologians, academics and political figures from various western and developing countries. 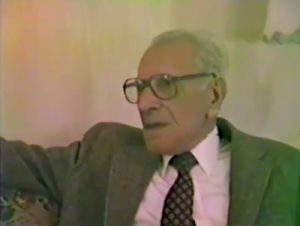 The Zoryan Institute also arranged for two survivors, Haigouhi Boyajian and Paul Nahabedian, to present their eyewitness accounts to the jury. Zoryan Institute published the evidence and papers delivered at the Tribunal’s hearings, and its Verdicts in 1984, first in French and then in English and Armenian and gave the publication the title, “The Crime of Silence.” At a time when universal human rights are still being rigorously tested, A Crime of Silence remains an essential work to comprehend the first genocide of the 20th Century. Click here for more information on the book or to download the book online.